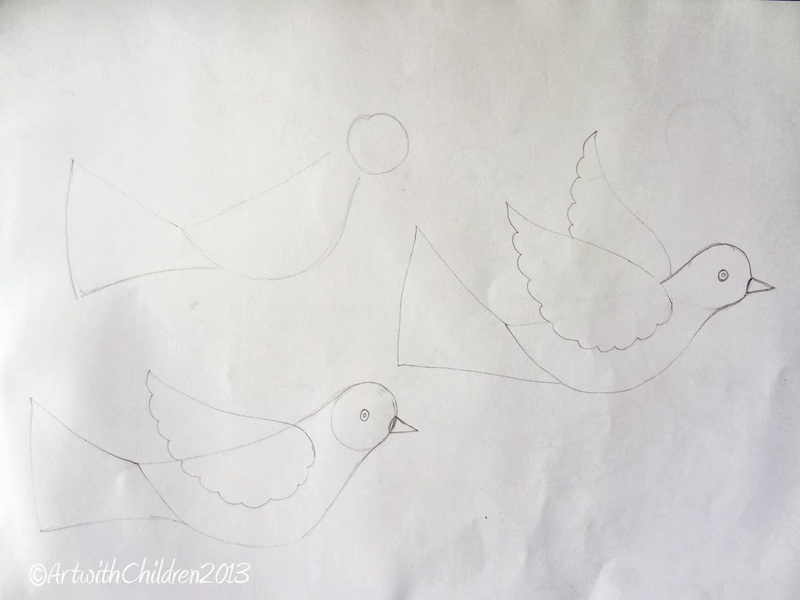 Drawing is one the most important activity that I do with my students throughout the year. As we all know, drawing provides the basis for many other creative activities. 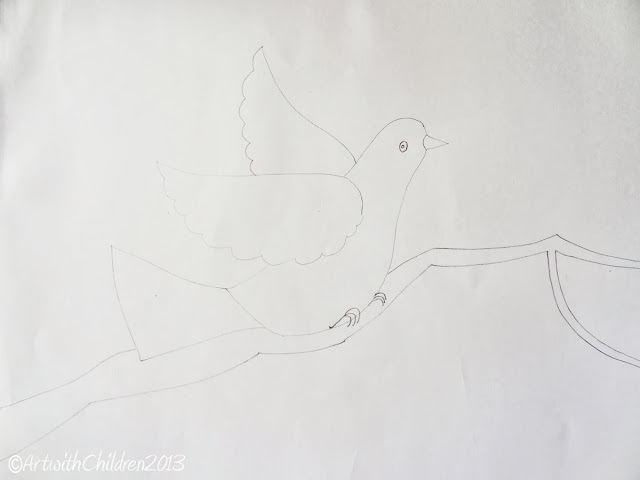 I often hear a request for drawing whatever they feel like, even if it is for about fifteen to twenty minutes, the children are engrossed in putting their thoughts on paper!!. As we move on with our exploration using various art materials, we always like to do more using color pencils. More techniques and more new discoveries. The easier the projects are, the more interest they draw! For example, as the picture above shows an easy way to use two tones of a single color. It is wonderful to watch children using this technique in various other pictures and achieve interesting results! 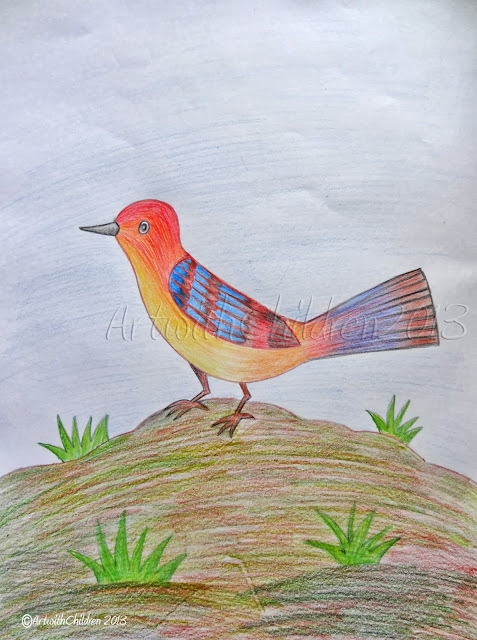 To simplify the topic ' shading with color pencils', I have been working with various groups of students and succeeded in helping them create and enjoy coloring their favorite pictures. 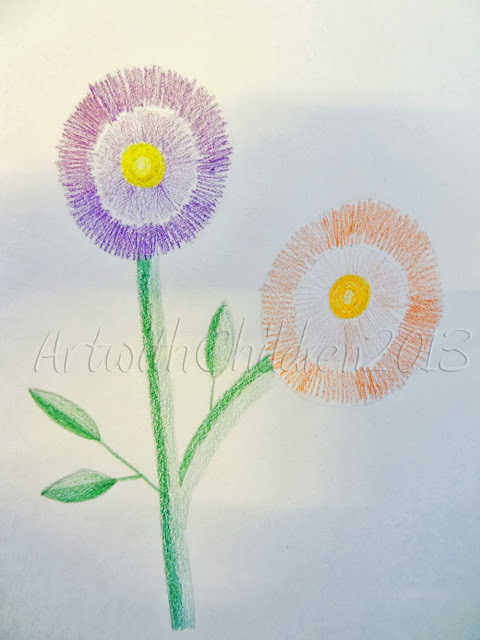 Whenever we do a new topic, I make it a point to include all the groups-The children those who can draw with ease (the group that has been practicing drawing regularly) and the beginners (help them draw easy drawings and start with easy coloring methods). This I find is a great way to make the beginners take part with more enthusiasm. To start with, give them a free hand in choosing the colors they prefer and gradually move on to more realistic coloring. 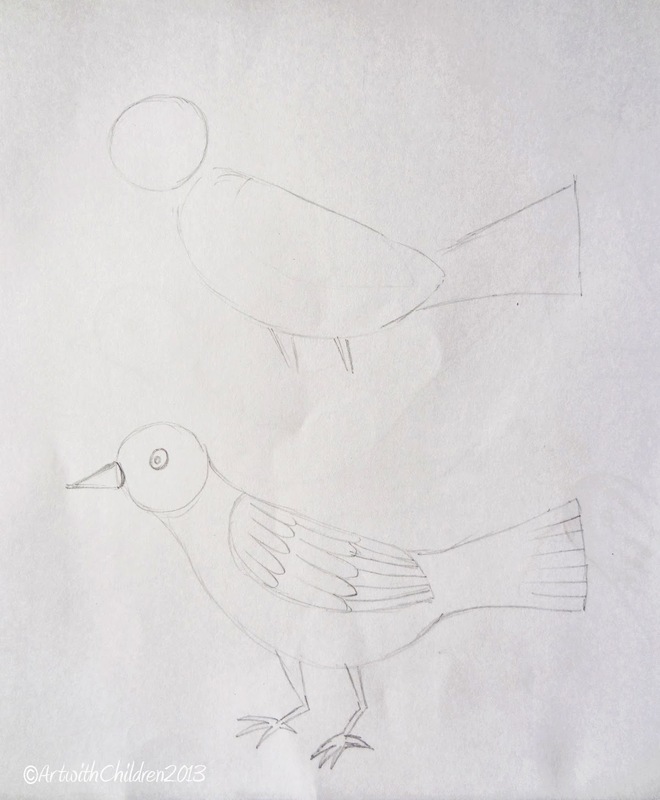 Our topic for the month of August was birds and so we chose birds for most of our craft projects too.